Ganga Forging Limited is manufacturer in forging industry and is engaged in manufacturing of closed die forged products catering to both automotive and non-automotive segment. The Company has issued 23,82,000 Equity shares @ face value of Rs.10 each & issue price of Rs.21 per share. The issue size of this IPO is Rs.5 Cr. Let’s have a detailed review of the company and analytics of the Ganga Forging IPO release date, IPO offer price, subscription, Ganga Forging IPO allotment, grey market price and other details like the company’s background, its financial positions, its promoters and other related things. Ganga Forging Limited is manufacturer in forging industry and is engaged in manufacturing of closed die forged products catering to both automotive and non-automotive segment. Automotive segment include manufacturing of products catering to commercial vehicle, passenger car, three wheeler, two wheeler and tractor. The Issue comprises of a Public Issue of 23,82,000 Equity shares of face value of Rs.10.00 each. From FY 2015-16 to FY 2016-2017, as per the Restated Financial Statements, From fiscal 2016 to 2017, company’s revenue from operations and net profit has increased at a growth rate of 14.2% and 4.1%, respectively. Export operations contributes approx. 1.43% of the company’s Revenue for the period ended 31st Dec, 2017. For the period ended December 31, 2017, FY 2016-17 and FY 2015-16, its revenue from operations was Rs.1818.46 Lakhs, Rs.1779.17 Lakhs and Rs.1769.45 Lakhs, respectively representing growth of 2.76 % from the FY 2015-16 to FY 2016-17, Dec.
During the financial year 2016-17 the Other Income of the company increased to Rs. 6.53 Lakhs as against Rs. 0.71 Lakhs for the financial year 2015-16, representing increase by 814.91% due to increase in interest income & insurance claim in FY 2016- 17.
restated financial statements of the Company. The Promoter of this company is Mr. HIRALAL TILVA AND RAKESH PATEL. The lead manager to the issue is PANTOMATH CAPITAL ADVISORS PRIVATE LIMITED and the Registrar to this issue is LINKINTIME INDIA PRIVATE LIMITED. The opening date of this IPO is 29th June 2018 & closing date is 3rd July 2018. The Issue is being made through the Fixed Price Process wherein up to 78,000 Equity Shares shall be reserved for Market Maker upto 7,11,000 Equity shares will be allocated on a proportionate basis to Retail Individual Applicants, subject to valid applications being received from Retail Individual Applicants at the Issue Price. The balance of the Net Issue will be available for allocation on proportionate basis to Non Retail Applicants. Ganga Forging was originally incorporated as “Ganga Forgoing Private Limited” at Ahmedabad, as a private limited company under the provisions of the Companies Act, 1956 vide Certificate of Incorporation dated December 29, 1988 bearing registration number 04-11694 issued by the Registrar of Companies, Gujarat. Ganga Forging Limited is manufacturer in forging industry and is engaged in manufacturing of closed die forged products catering to both automotive and non-automotive segment. Automotive segment include manufacturing of products catering to commercial vehicle, passenger car, three wheeler, two wheeler and tractor. Non-automotive segment include electric power transmission, dairy equipment manufacturing, agricultural, gear and gear box, crank shafts, connecting road, heavy engineering industrial, hubs and flanges. Improve and increase operational efficiencies. Conversion to automotive production line. From the above statements, one could find that the Ganga Forging Limited may perform well. Reserved for Market Makers 1,26,000 Equity Shares of face value of Rs. 10 each at issue price. Net Issue to the Public 22,56,000 Equity Shares of Rs 10/- each at an issue price. Non-Retail Investors Portion 1,12,8000 Equity Shares of Rs 10/- each at an Issue Price. To finance setting up of Closed Die Forging manufacturing facility. 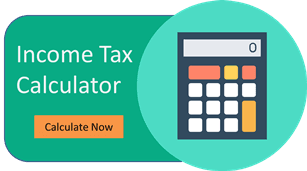 Statutory Auditor –Rajani Associates Advocates & Solicitors. The Ganga Forging IPO Grey Market Premium is Rs X, Kostak Rate is Rs 400 and Subject to Sauda at Rs 4000.